On November 17th, 2017, Florida’s Second District Court of Appeal decided the case of Salazar v. Hometeam Pest Defense, Inc. 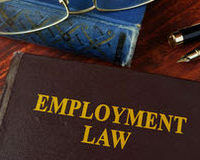 This dispute centered around the enforceability of a noncompete provision contained within an employment contract. While the lower court agreed to grant an injunction to the employer, the Second District Court of Appeal reversed the decision, ruling in favor of the employee. Here, our experienced West Palm Beach employment law attorneys analyze this case and discuss what it can teach us about how Florida courts treat noncompete agreements. Case Analysis: Salazar v. Hometeam Pest Defense, Inc. Taking any other job in the pest control industry in five pre-specified Florida counties. Mr. Salazar was terminated from Hometeam Pest Defense in 2014. In 2015, the company learned that he had formed a competing pest control business. This led them to file a lawsuit, seeking a court injunction to stop Mr. Salazar’s business. Upon hearing testimony that Mr. Salazar and his associates had actively sought business from former Hometeam Pest Defense clients, a trial court agreed that he had violated the terms of his noncompete agreement. On those grounds, an injunction was granted against him. The Second District Court of Appeal reversed the decision, finding that the injunction order was deficient on its face. The court noted that granting an injunction is “an extraordinary and drastic remedy”. As such, it can only be granted limited situations. To obtain an injunction, the party seeking the order must be able to present a compelling case as to why such as remedy is appropriate and necessary. This dispute was remanded back to the trial court, for a full hearing, in order to allow Mr. Salazar to present his legal defenses. While noncompete agreements are permissible under Florida law, they must meet certain standards to be upheld by the courts. When companies put noncompete provisions into their employment contracts, they must be sure that the clause has been properly crafted so that enforceability will not become a problem in the future. It is strongly recommended that businesses have their noncompete agreements drafted and reviewed by a qualified attorney. At Pike & Lustig, LLP, our top rated employment law attorneys have extensive experience drafting and reviewing noncompete agreements. We are also prepared to pursue or defend litigation relating to those agreements. To find out more about what we can do for you, please contact us today to set up your free consultation. From our main office in West Palm Beach and our second office in Miami, we represent clients throughout the region.